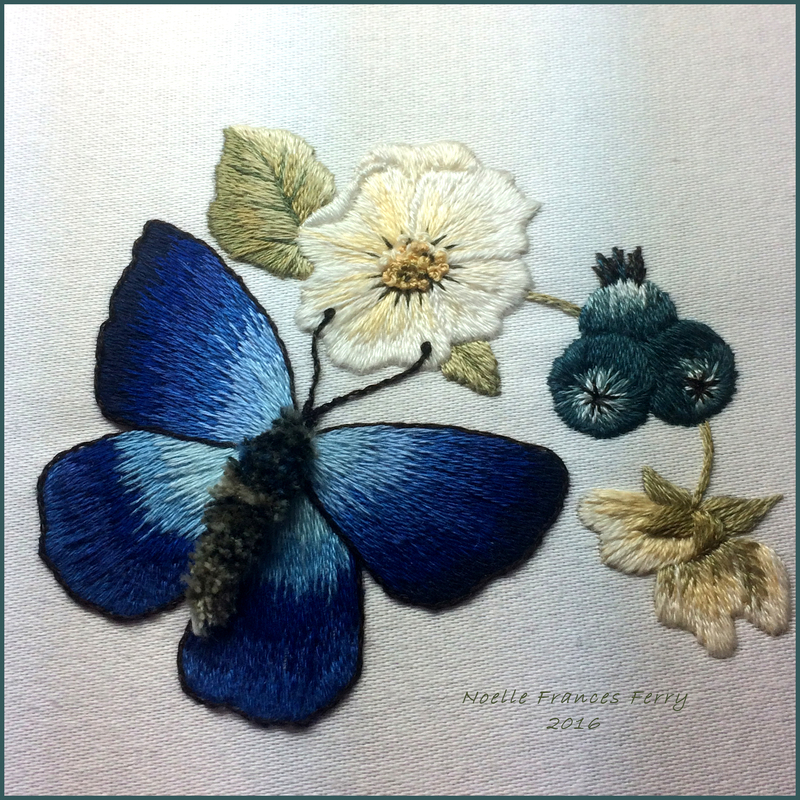 Adonis Blue Butterfly, designer Trish Burr, DMC stranded cotton floss. I decided not to add the cream satin stitch edge around the butterfly. Worked area is approximately four inch square.